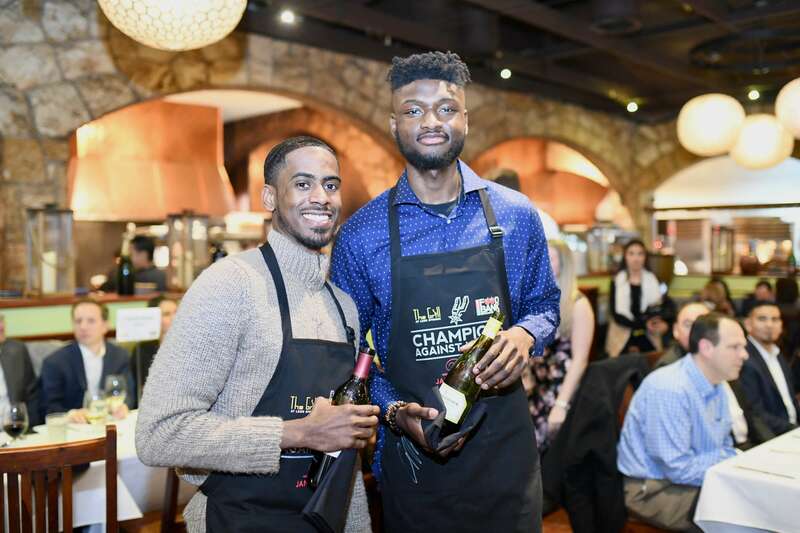 The owners of The Grill at Leon Springs, Armand Obadia and Master Chef Thierry Burkle, are extremely fortunate to be able to offer their services and excellent cuisine to support organizations in the San Antonio area by hosting and catering for highly popular events such as the Champions Against Hunger and Heroes at The Grill. 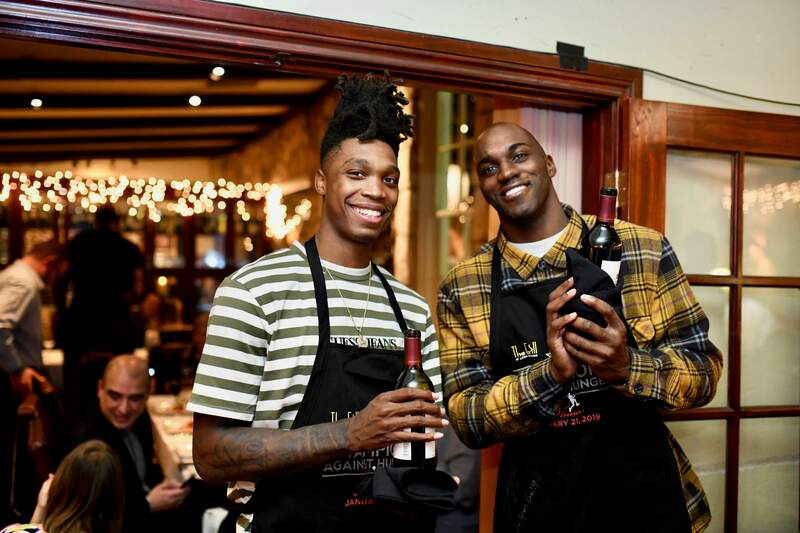 The Grill at Leon Springs also hosts special events to highlight their excellent wine cellar and fabulous food. Upcoming events will be posted as they are planned and advertised. 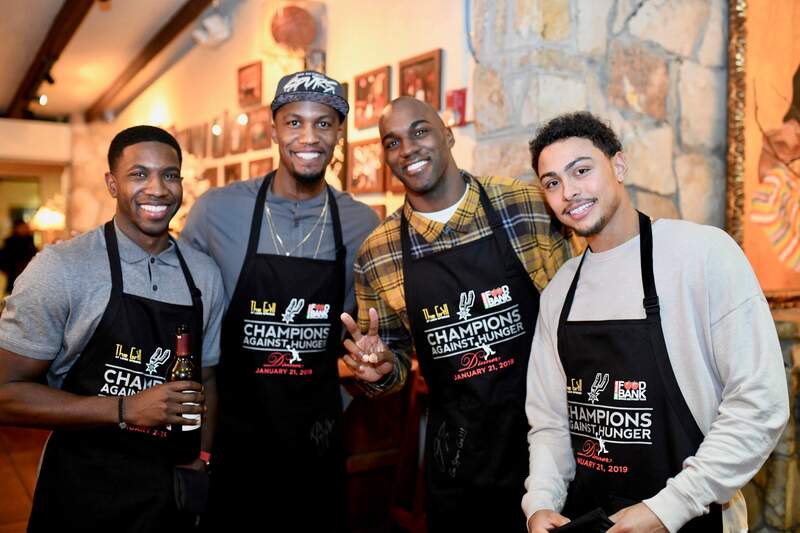 The San Antonio Food Bank’s slogan is “Fighting Hunger – Feeding Hope” and the Spurs’ coaches and players, along with The Grill at Leon Springs work toward providing that hope with their annual Champions Against Hunger event. 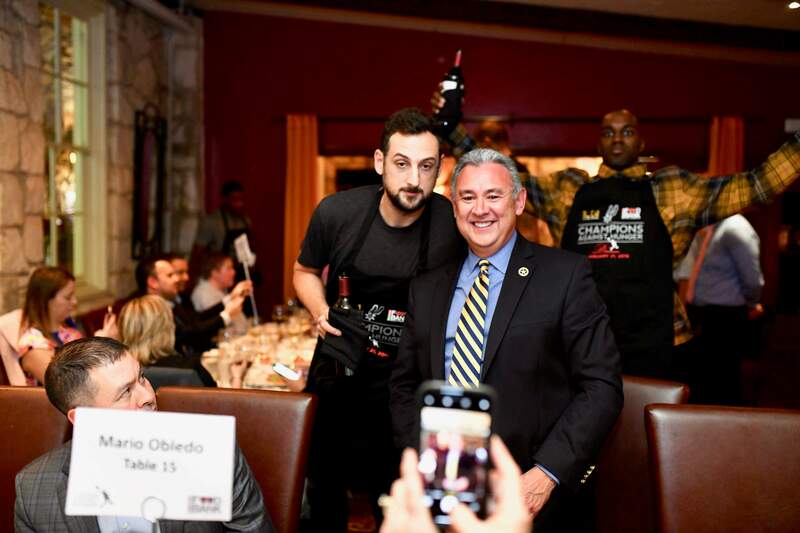 The fifth annual dinner was served to a few hundred guests on February 7th. 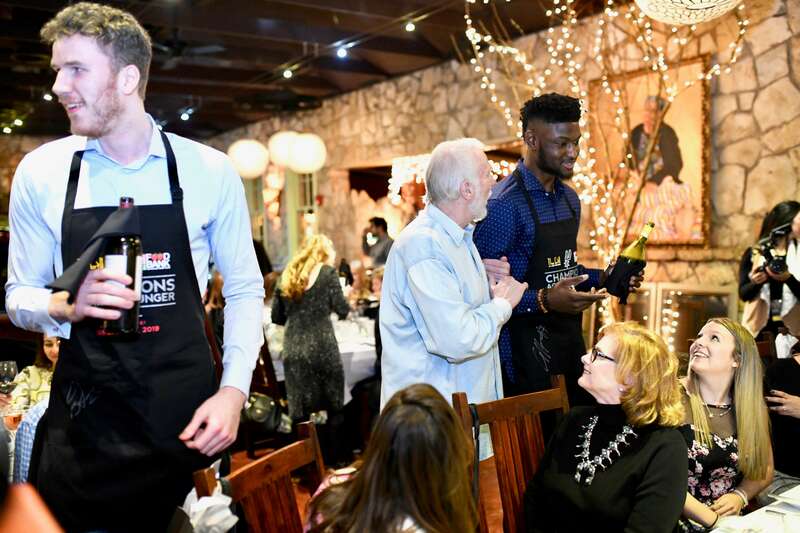 Hosted at The Grill at Leon Springs and catered by Master Chef Thierry Burkle, the diners enjoyed a five-course meal and a chance to visit with members of the Spurs organization. 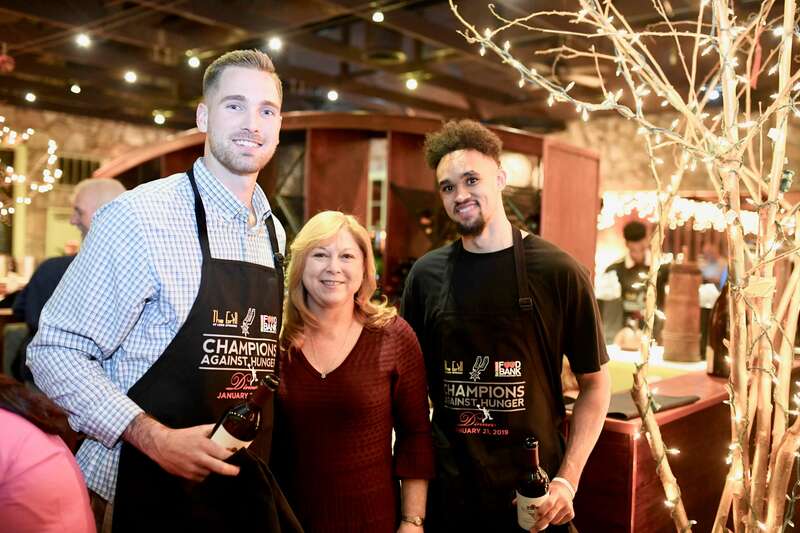 Spurs players and coaches graciously donned aprons and served the meal throughout the night. 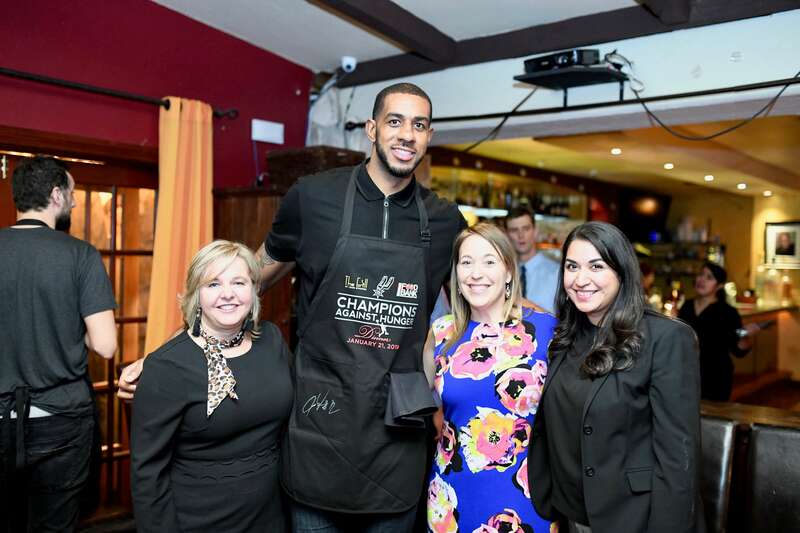 The proceeds made were donated to the San Antonio Food Bank in the hopes that more families in need are fed. 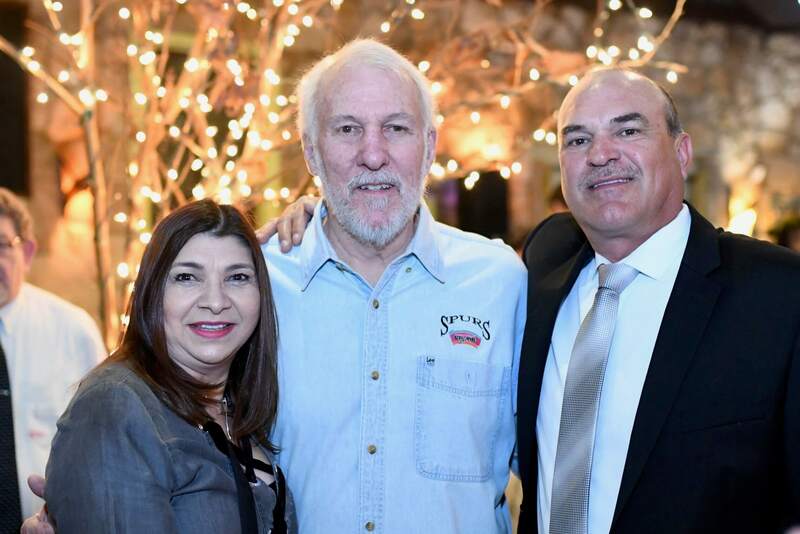 Spurs head coach Gregg Popovich (Pop) is the organizer of the event and recruited the owners of The Grill at Leon Springs to assist in providing the location and meal. 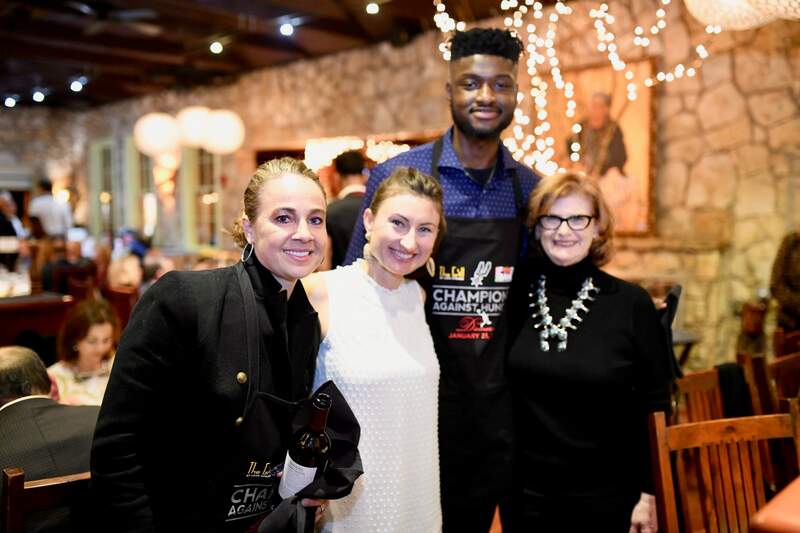 More than four million meals have been provided to the community through Champions Against Hunger. 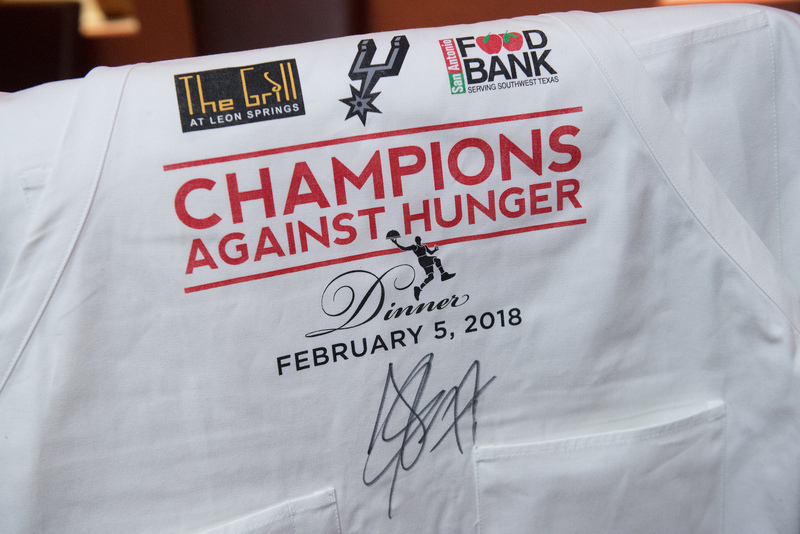 The event has, according to the Spurs, provided the San Antonio Food Bank more than $1 million dollars to help fight hunger in the San Antonio community. 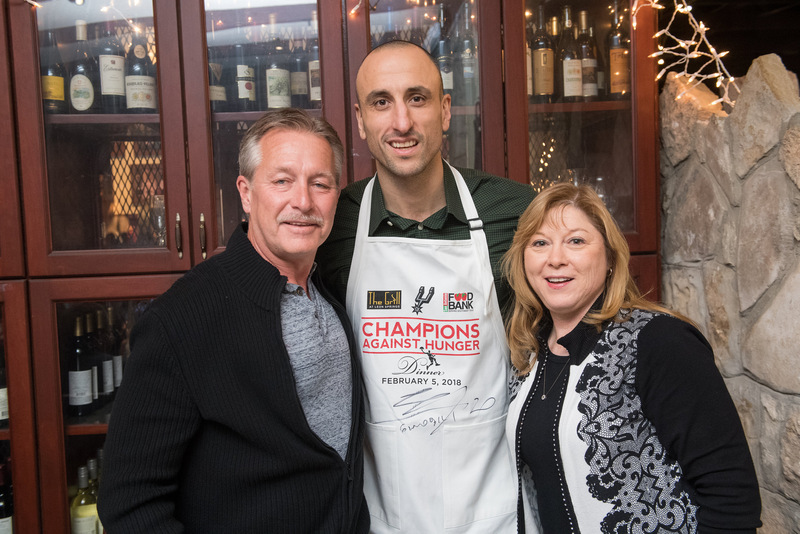 The Food Bank is extremely appreciative of the Spurs organization – for their commitment to their community – both on and off the court. 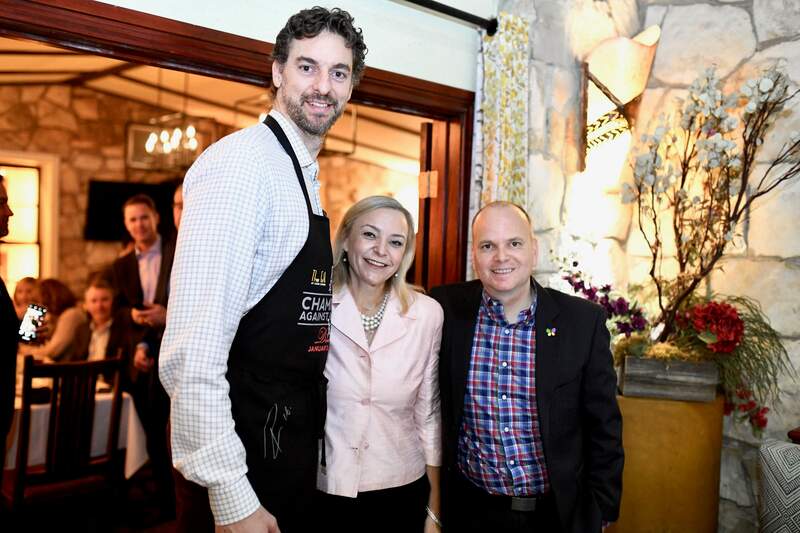 Many thanks go out to the guests who paid extremely well to help the cause! And what an extra bonus to be close and personal to the stars of the basketball court! 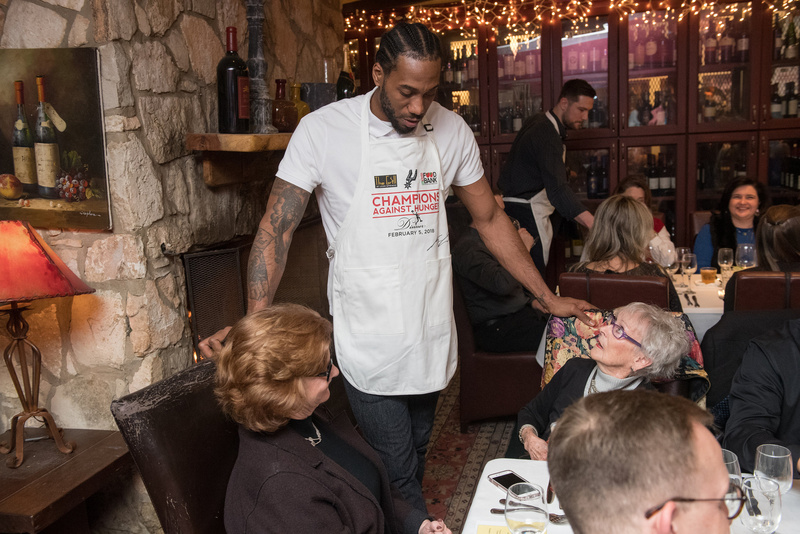 On Tuesday, March 20 the owners of The Grill at Leon Springs and Coach Popovich hosted the third annual Heroes at The Grill. 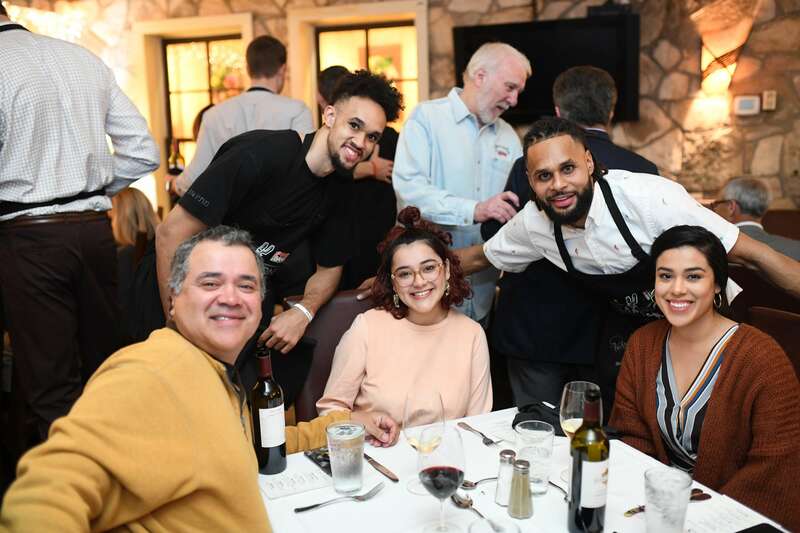 What was once envisioned in 2015 by the owners of The Grill at Leon Springs, Armand Obadia and Master Chef Thierry Burkle is now an annual event. 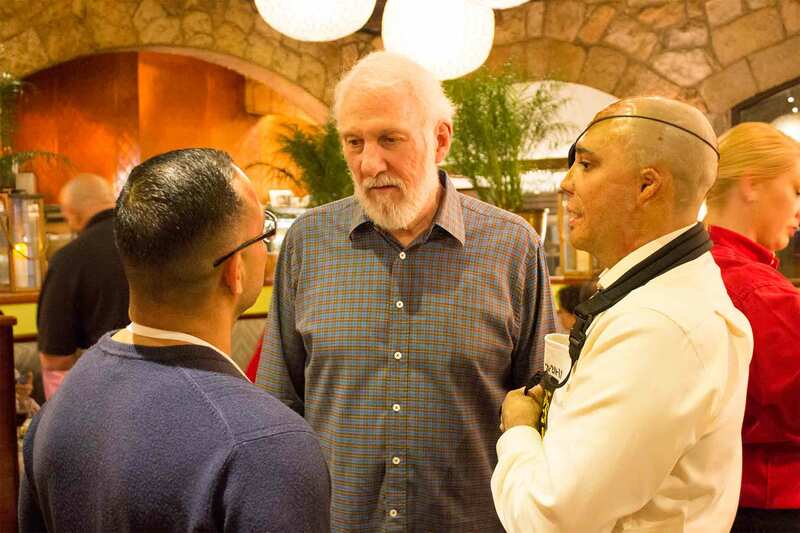 They wanted to host an event focused on assisting wounded military members and their families in the San Antonio area who are struggling with basic needs. 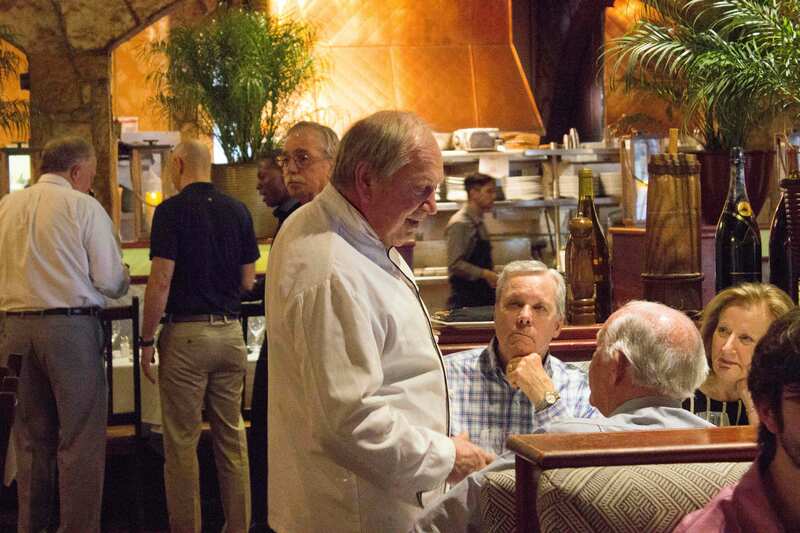 When approached by the pair, Coach Gregg Popovich agreed to assist and the concept of Heroes at The Grill was born. 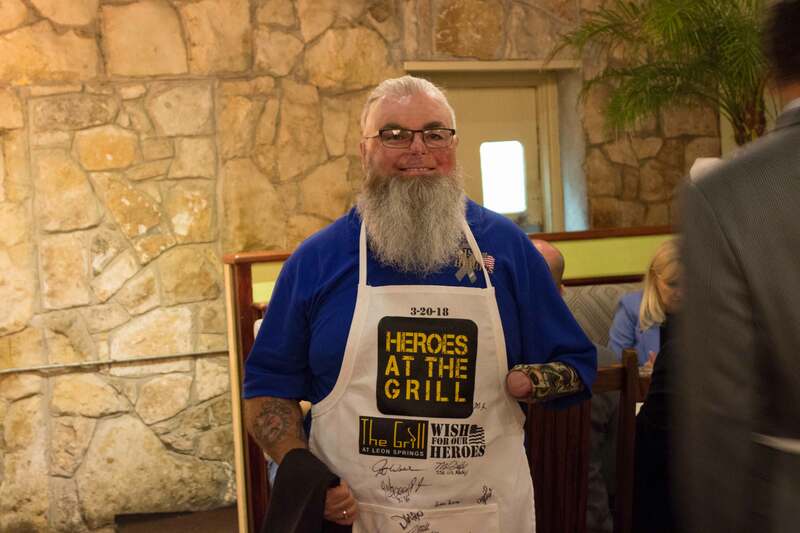 On November 17, 2015, the inaugural Heroes at The Grill was a tremendous success, as a sellout crowd raised more than $125,000 for local wounded military members and their families. In 2016, the team exceeded that total. This year, $150,000 was raised. Many thanks to the community for once again supporting this noble cause! All proceeds were donated to wounded military members and families who need assistance in food, shelter, transportation and medical expenses. 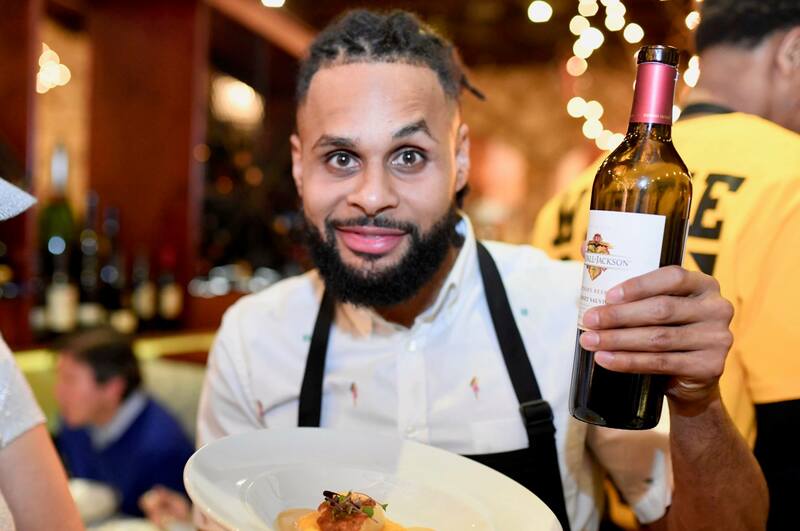 This intimate evening affair included a cocktail hour followed by a four-course gourmet meal prepared by Master Chef Thierry Burkle. 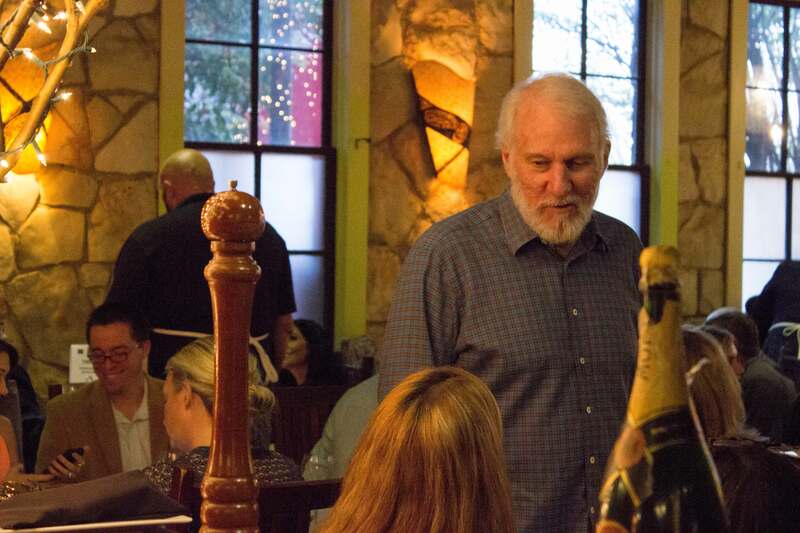 Each course was paired with a selection of Coach Pop's favorite wine. 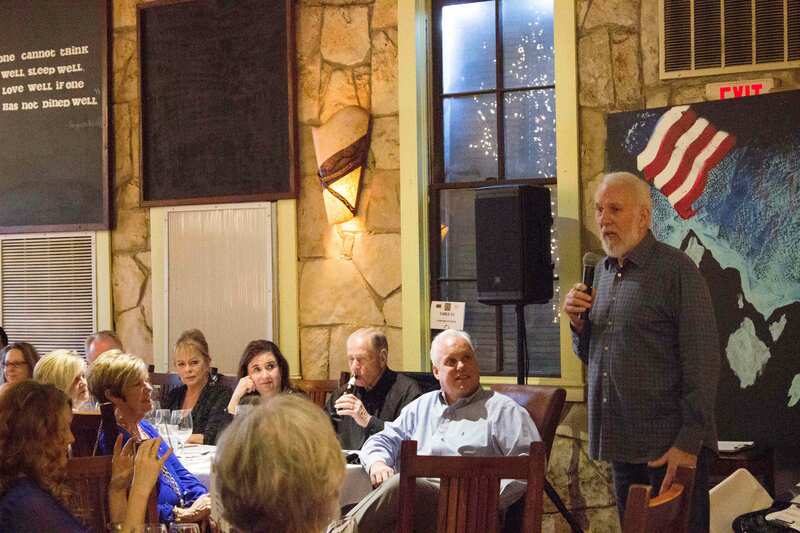 Coach Popovich served as the Master of Ceremonies/Maitre d’ and dinner was served by local wounded military heroes, military dignitaries, and other local celebrities. 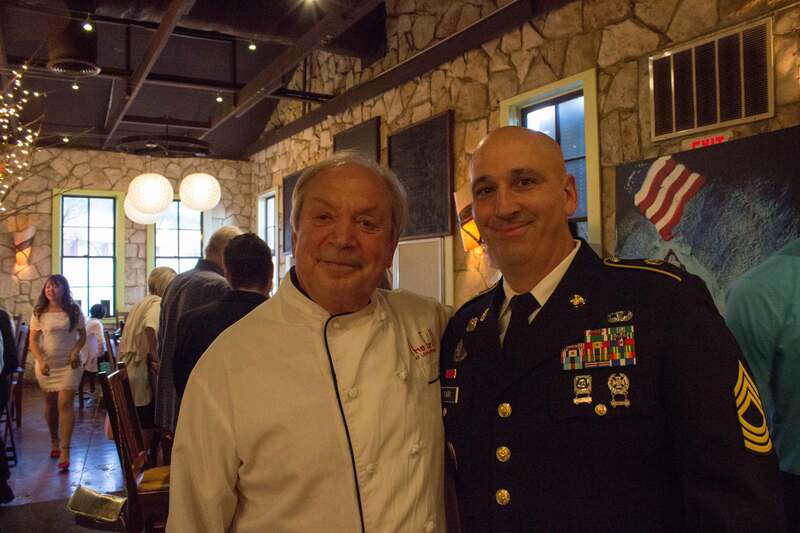 The funds donated for the dinner, wine and live auction items go to WISH for OUR HEROES (www.wishforourheroes.org). Wonderful artwork created by local wounded heroes was very popular with the crowd. 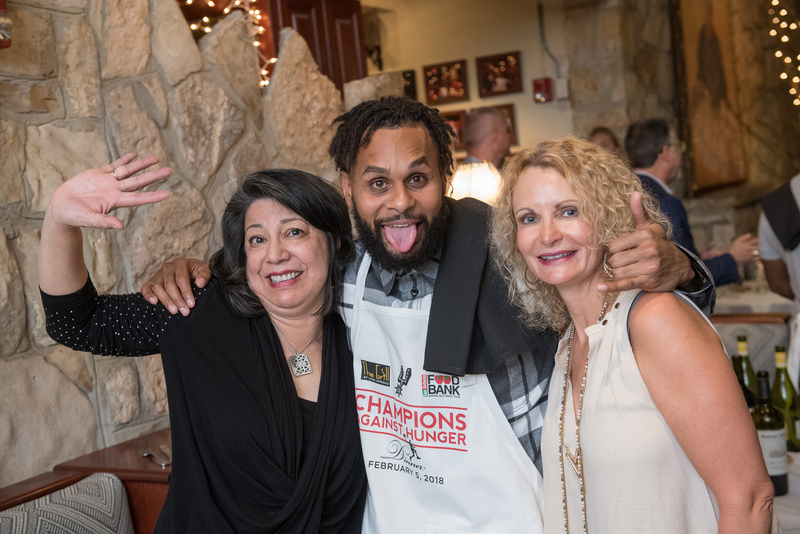 The Grill at Leon Springs offered two dinners catered by Chef Thierry as part of the live auction items. They went for $10,000 each.